"[Jimmy Parrish] is hailed by sources as an 'excellent and pragmatic bankruptcy lawyer,' and further highlighted for his negotiation skill and courtroom advocacy." 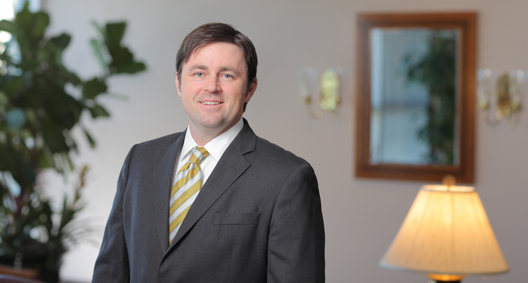 Jimmy Parrish practices in the Bankruptcy, Restructuring and Creditors' Rights team and has extensive experience in a broad range of insolvency and business bankruptcy matters. Jimmy is board certified in business bankruptcy by the American Board of Certification and has represented corporate debtors, committees, trustees, secured lenders and other creditors in virtually every industry, including agriculture, airline, energy, healthcare, manufacturing, communications, real estate and hospitality. Serves as debtor's counsel to Black Elk Energy Offshore Operations, LLC, in its chapter 11 bankruptcy, currently pending in the United States Bankruptcy Court for the Southern District of Texas Houston Division. Serves as debtor's counsel to American Eagle Energy Corporation in its chapter 11 bankruptcy, currently pending in the United States Bankruptcy Court for the District of Colorado. Served as debtor's counsel in the successful reorganization of Southern Building Products, Inc., a national manufacturer of roof and floor trusses, based in West Palm Beach, Florida. Served as debtor's counsel in the successful asset sale and liquidation of Emerge Interactive, Inc., a national technology and manufacturing company based in Sebastian, Florida. The asset sale and liquidation plan resulted in a dividend to unsecured creditors of more than 70 percent of their alleged claims. Served as debtor's counsel in the successful reorganization of Planet Hollywood International, Inc., a global chain of theme restaurants and retail stores based in Orlando, Florida. Served as counsel to the chapter 11 trustee appointed in the bankruptcy case of World Vision Entertainment, Inc., to recover funds for victims of a $64 million Ponzi scheme. Served as debtor's counsel in the successful reorganization of Clarklift of Orlando, Inc., a compact equipment retailer with dealerships across Florida. Served as debtor's counsel for Designer's Choice Cabinetry, Inc., a national cabinet manufacturer based in Rockledge, Florida. Advised multiple clients on creditor claims against insolvent and troubled oil and gas companies.